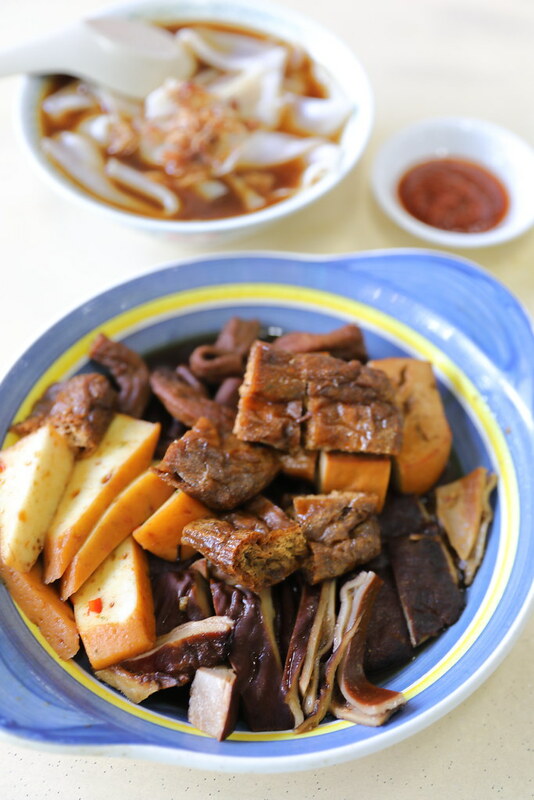 Since moving to the West, I have been wanting to try Tong Lok Kway Chap for the longest time. The popular stall is always sold out by noon and I usually struggle to get out of bed on weekend. 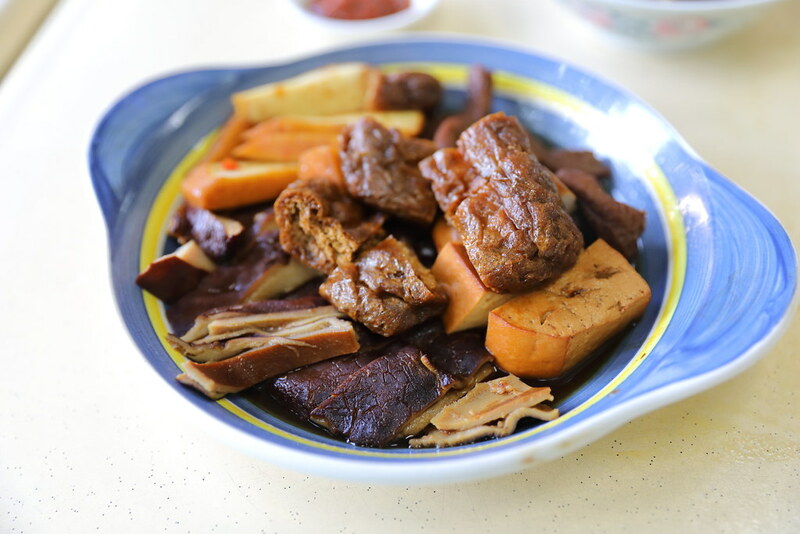 I finally managed to drag my feet to the coffeeshop on a Saturday morning to try the renowned kway chap stall in the West. 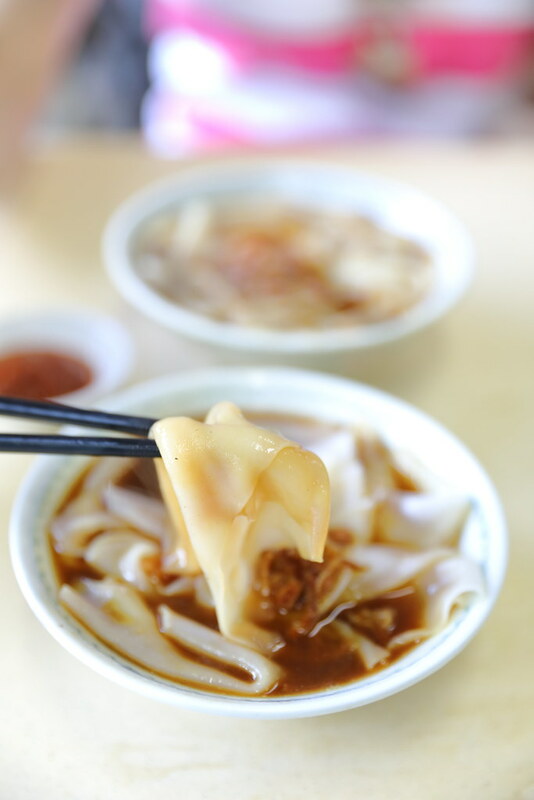 The flat rice sheet or more commonly known as kway by the locals is thin and smooth. However the accompanying broth was rather weak in flavour. 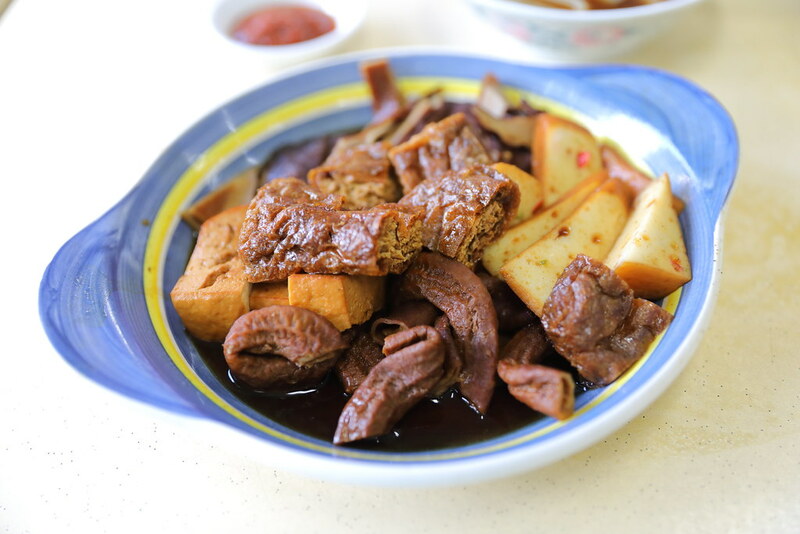 I ordered a mix platter of Kway Chap which consists of tau pok, beancurd, fishcake, pig stomach, pig skin and pig intestines. The innards were well cleaned and absorbed the braised sauce, it did not have the gamey taste. The sauce did not have the strong herbal flavour. In fact it was sweetness to it. There are two highlights for me here. The pig intestine has an interesting crispy texture to it. I am not sure how the stall does it but it seems like after it has been braised, extra treatment was done to obtain the interesting texture. The other worthy note is the tangy chilli sauce that complemented the braised ingredients excellently. 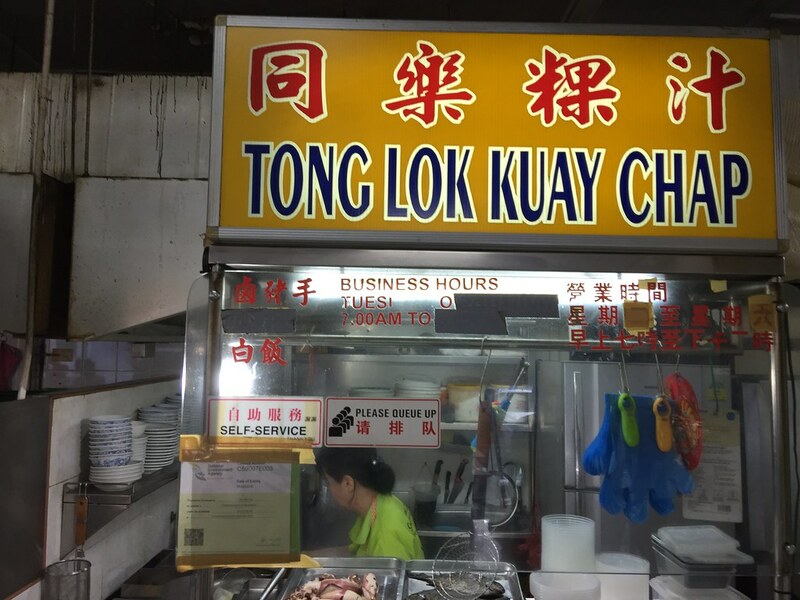 Tong Lok Kway Chap does sell out before their closure time. Hence I would advise customers to go early if you don't want to make a wasted trip.